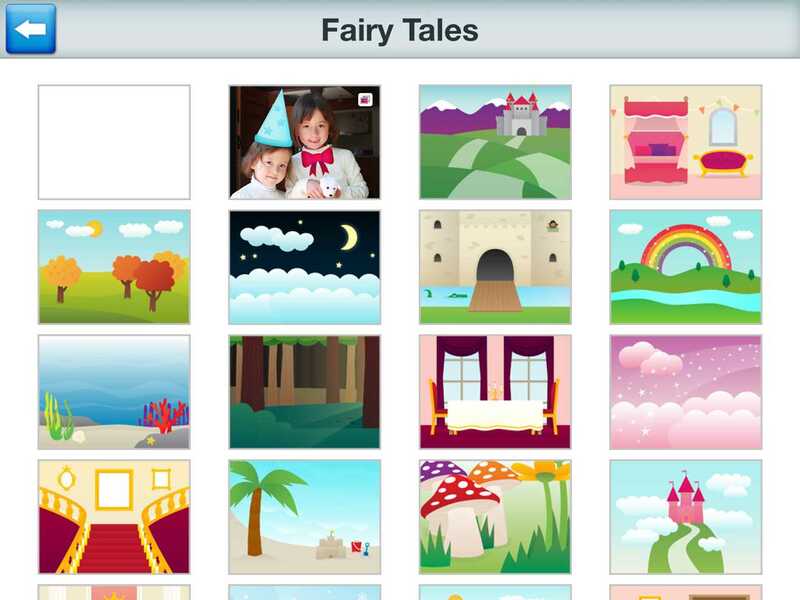 Intuitive design and inviting art tools make this storytelling app a winner. 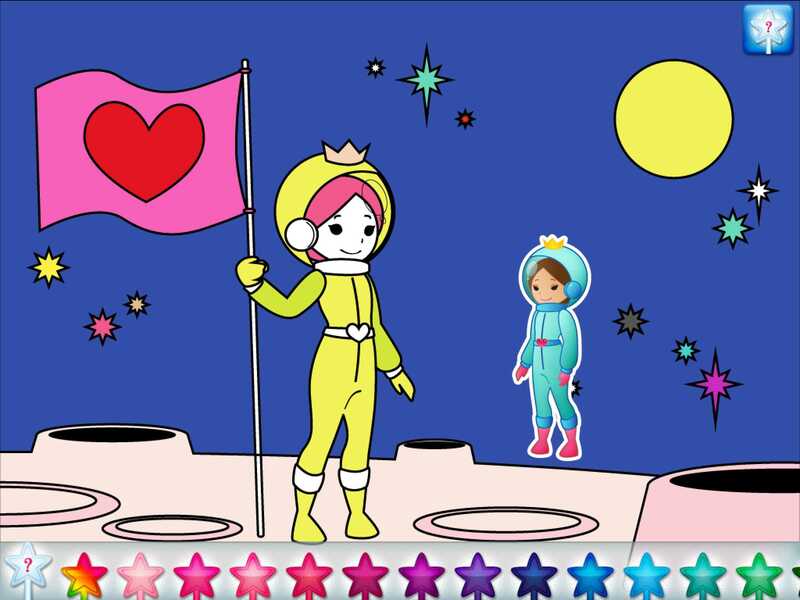 Plus it encourages girls to think of princesses as heroines and go-getters. Don't be fooled by the traditional-sounding title. This app is so much more than just playing princesses. It provides girls with digital tools to create their own video stories. Their tales can be filled with fairies, mermaids, and unicorns; but they could also feature girls as veterinarians, authors, astronauts, and more. Girls set the stage for their story by choosing from 32 preset animated scenes, 32 additional scenes to color, or by drawing their own backdrop. Then they populate the scene with sticker-like characters and move them around to create animation. 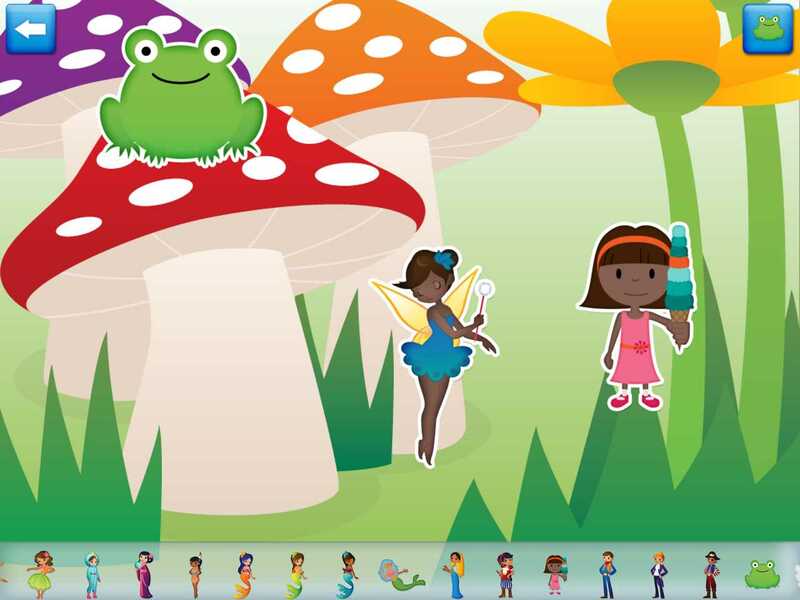 The app records the characters' movements and your child's storytelling and combines it all together to create a video. Princess Fairy Tale Maker - by Duck Duck Moose can also be used as an art creation studio. 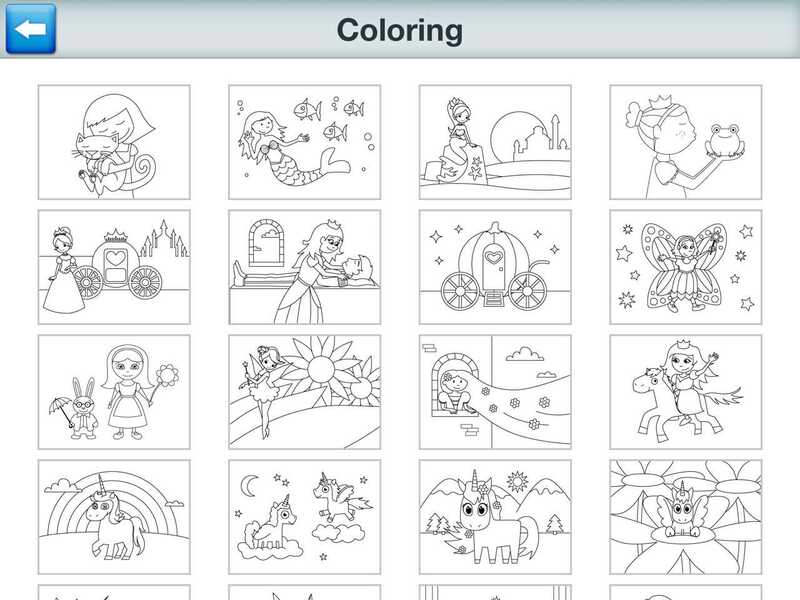 With 32 coloring pages, 29 crayons, and 29 colored pencils, there is a lot to explore. Girls can also explore animated sparkles and tons of background patterns. And don't miss the magic coloring wand that automatically fills in pictures, but also allows for constant alternatives with just a tap of the finger. What Makes This App Good? These easy-to-use digital tools empower girls to create their own heroines. With some pre-made options of being a vet or an astronaut, girls start to think about themselves in broader terms than just a princess. And the app even provides a role reversal scene where a princess is rescuing a prince. The process of creating your own video story is intuitive; and it results in a professional-looking video that your child will be proud of. 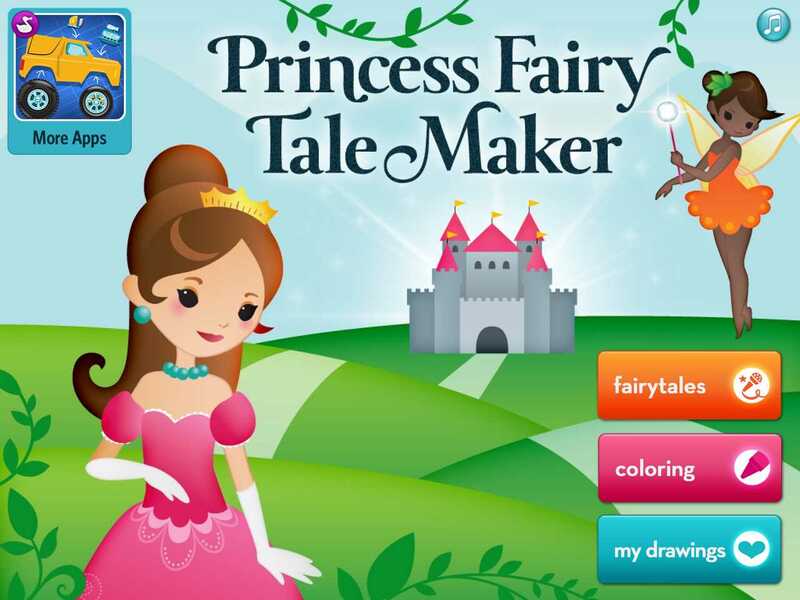 Princess Fairy Tale Maker is a great addition to the app library of girls ages 4-9 who love to tell stories. Note: there is a similar app for boys by Duck Duck Moose called: Superhero Comic Book Maker HD - by Duck Duck Moose.